Personalise the relationship between sales person and customer by leveraging customer profiles to create a more meaningful and personal experience. 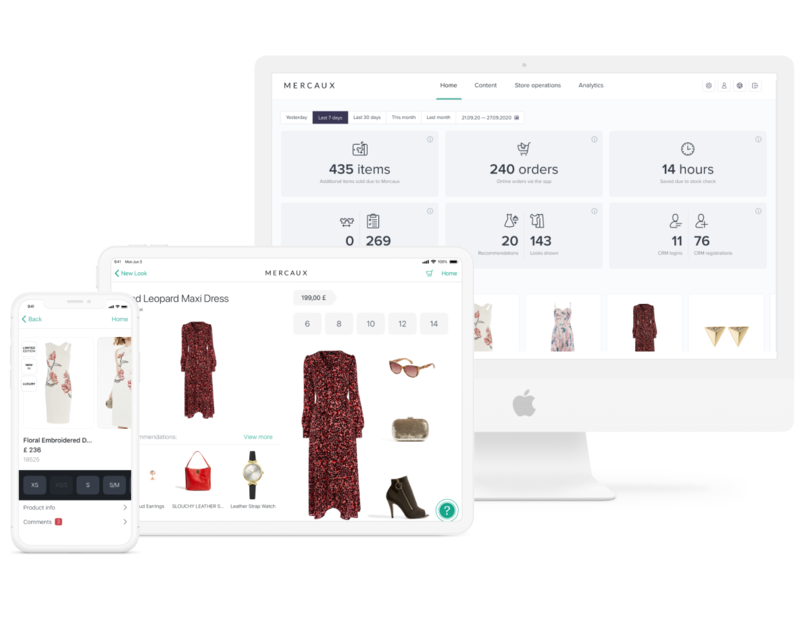 Mercaux enables sales people to access customer’s past purchases and online wish lists as well as custom recommendations based on their unique preference. 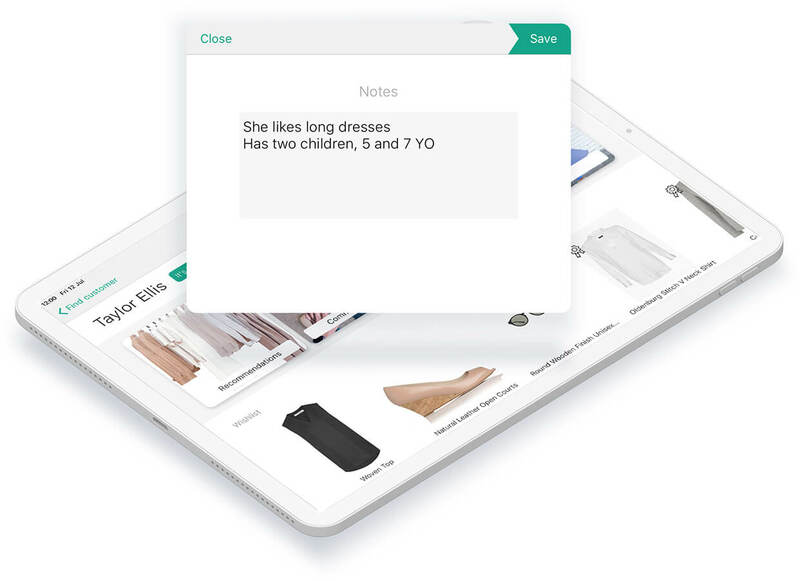 Identify the customer in store through loyalty programme, email or name and view their personal profile in-app. 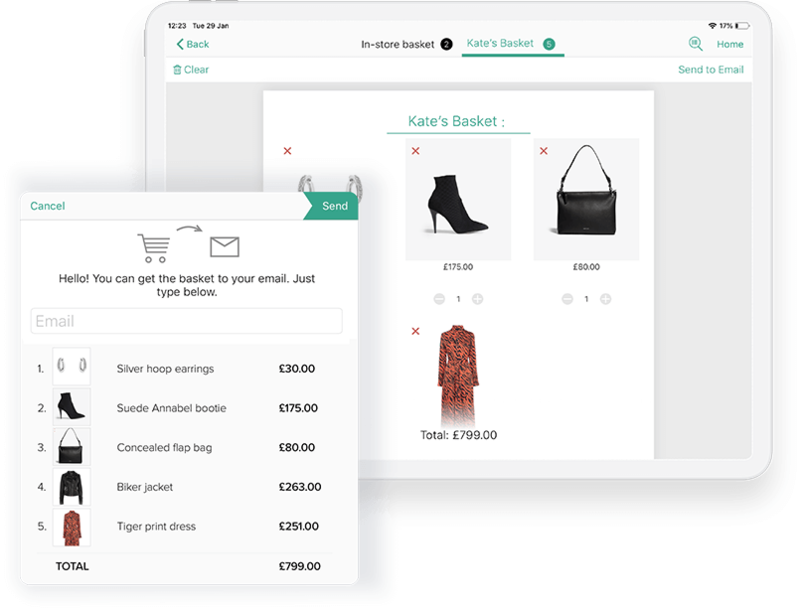 Access individual customers profiles, including past purchases and online wish list for a personalised experience. 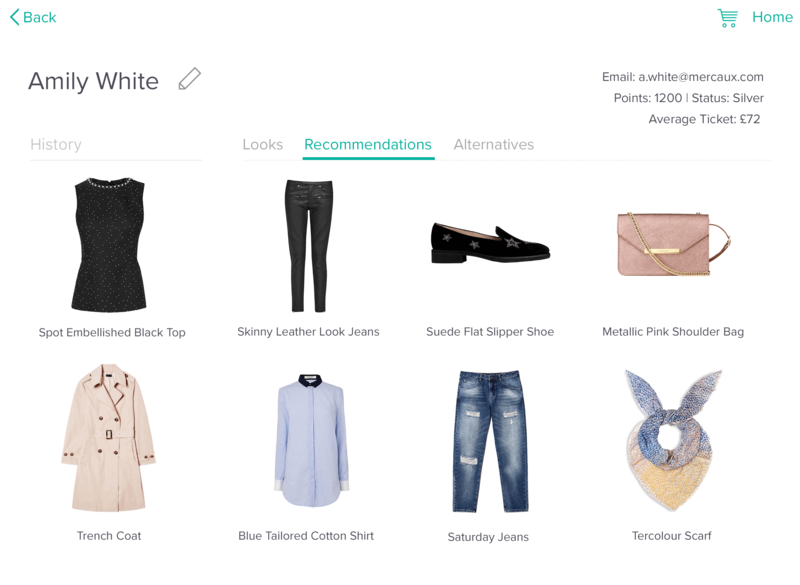 View AI-generated recommendations and alternatives based on customer preferences. Capture data on customer behaviour in store and enrich CRM with interesting facts, preferences and product feedback. Give your customers the VIP treatment and email personalised looks and customized baskets to inspire them to return to the store or shop online.